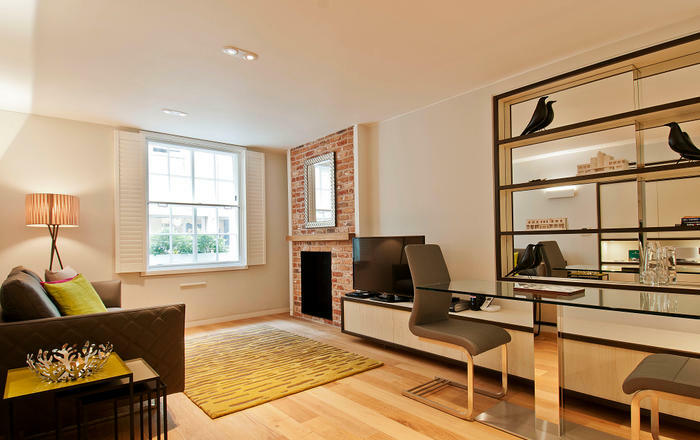 A lovely Georgian building is home to these pristine serviced apartment in genteel and leafy Bloomsbury, moments from Russell Square. Enjoy walking around this cultured and pleasant part of central London with The British Museum and The University of London close by. 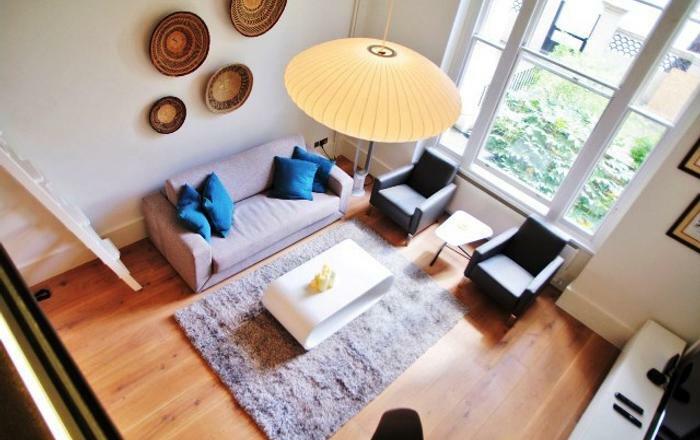 The two bedroom flat is light and fresh with large windows and wooden flooring. There is a comfortable seating area with sofas and a dining table and chairs. There are two welcoming bedrooms with a double bed and a king sized bed. You have the option of twin beds in one of the rooms but please request at time of booking. The modern kitchen is open plan to the living area and comes fully equipped with microwave, dishwasher, washer-dryer and clothes airer. Upon arrival you will find a breakfast pack which includes tea, coffee, hot chocolate, milk, cereal and baked goodies. The two smart bathrooms may offer a walk in shower or a bath with a shower over. 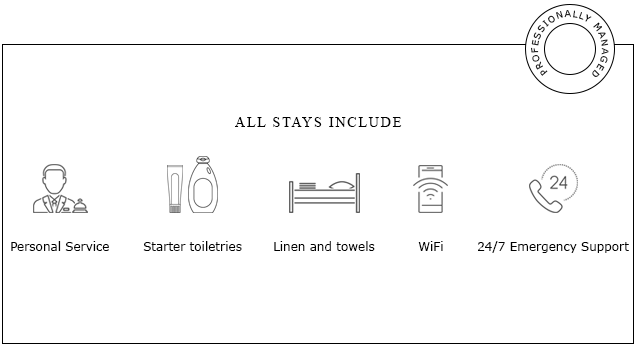 Quality starter toiletries and fluffy towels are provided. - Russell Square Underground on the Piccadilly line a few minutes away from the apartment in travel zone 1. 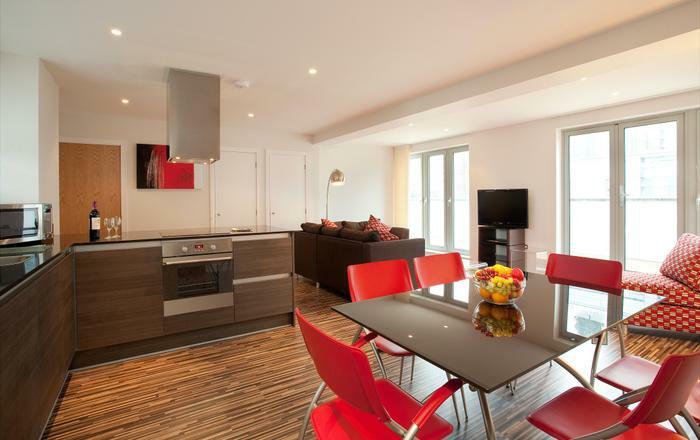 - This is a two bedroom serviced apartment in a building with a lift. 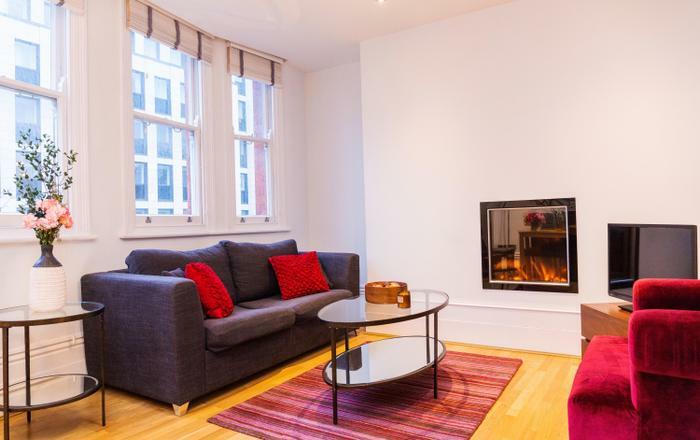 - The short let London home sleeps four people in two bedrooms. - Photos show the style and quality of accommodation but specifics such as colour scheme and layout may vary. Bloomsbury is dense with ancient buildings and famous garden squares but at the same time close to contemporary London and the famous sights and attractions. 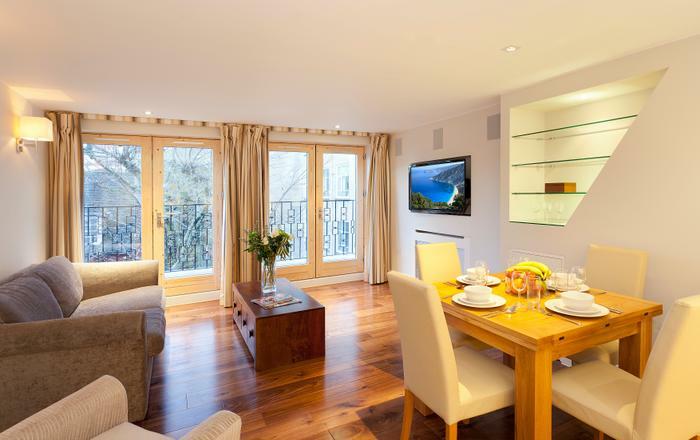 You have quick and easy access to Covent Garden, the West End, the British Museum, Lincoln's Inn Field and many more. This is an unbeatable inner city location, softened by the surrounding green squares and gorgeous old buildings.